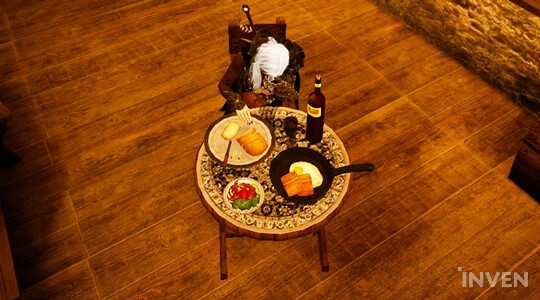 You can buff up your specs temporarily by consuming what you make from the cooking skill, which is one of the life skills in BDO. Korean players refer to the use of these consumables as doping, in reference to how athletes use doping to improve their performance. 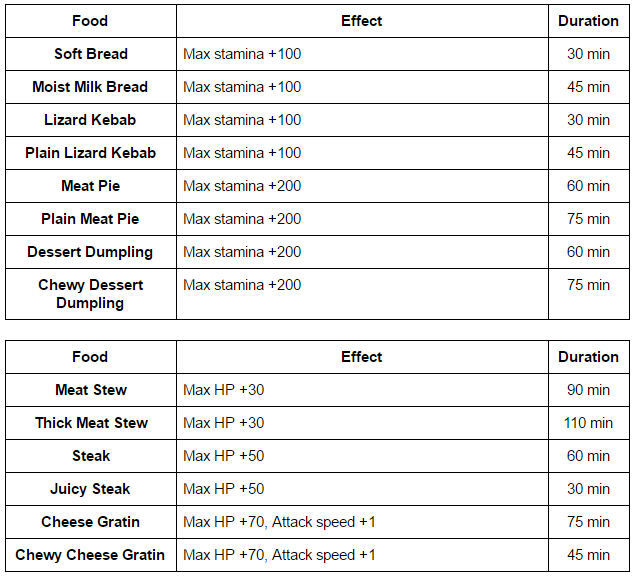 Food is used to buff up specs in order to gain advantages in PvE, PvP and in life skills. 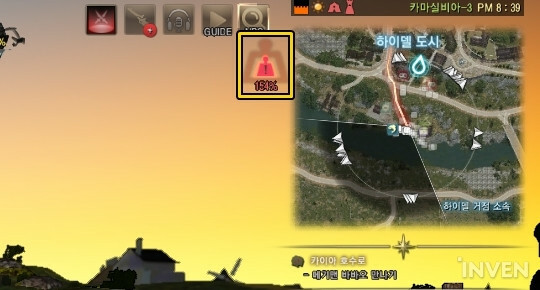 It works as enhancement for various elements; damage, accuracy, or critical hit rate, and also increases the probability of success or reduces the time it takes to craft certain items. There are also foods that help you gain more experience points, or a temporarily increase to the weight limit you can carry. Even though it shares similarities with Elixirs which are another type of item that buffs up the specs, there are still differences. Food usually has a 30-minute cooldown, and lasts for 30 to 120 minutes. 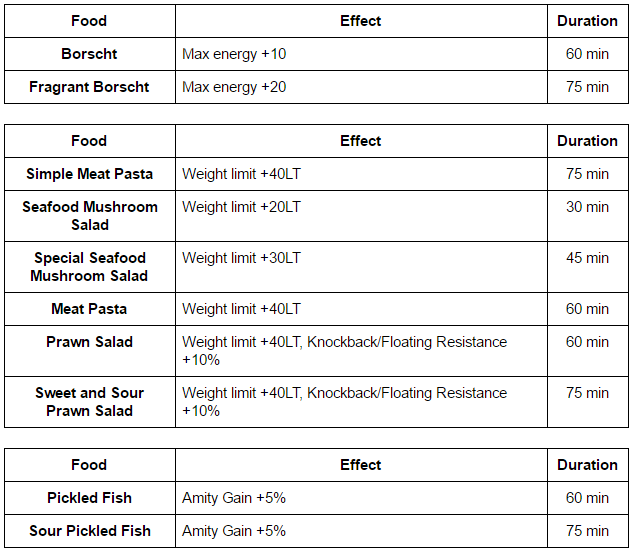 You can combine different food buffs by utilizing the fact that their cooldown is shorter than the time the buff lasts. Some types of food provide an exceptional effect, giving more than 2 types of buff at once. The typical examples would be ‘meal’ and ‘special’ which are a combination of multiple foods. 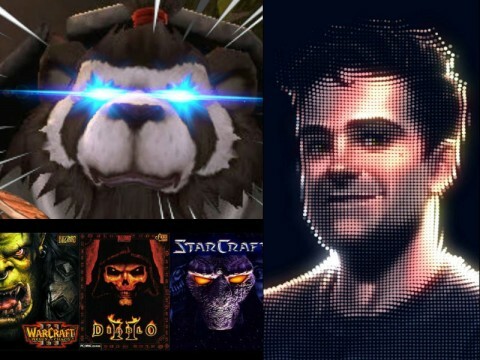 These are favored for providing 3 buffs at once, allowing players to have stronger and more efficient effects at the same time. Players are therefore actively exchanging information in regards to ‘the best way to buff up’. It is common knowledge that you consume the food depending on what you need at the time. 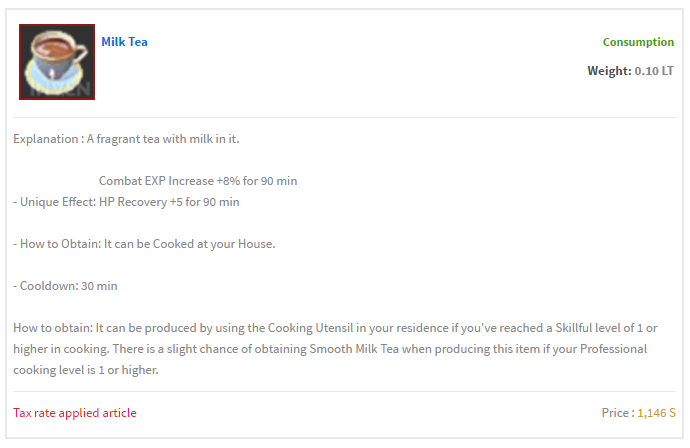 If you need more exp, you prepare food that provides an exp boost, such as milk tea. 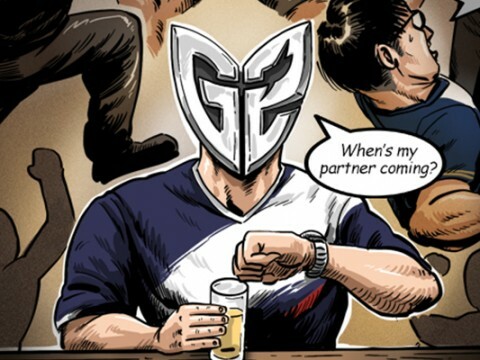 In the case of faster grinding, food that enhances AP and accuracy is consumed, or food with damage reduction or enhanced evasion for safer grinding. 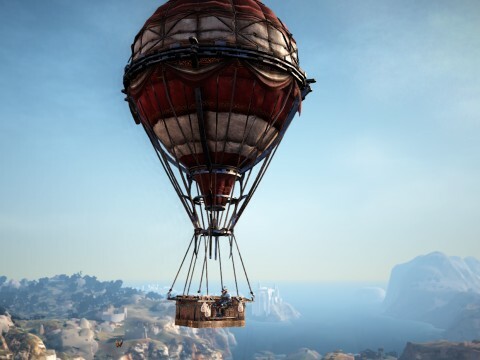 If the target is a human, there are a number of ways you can do additional damage such as the consumption of Knight Combat Rations. 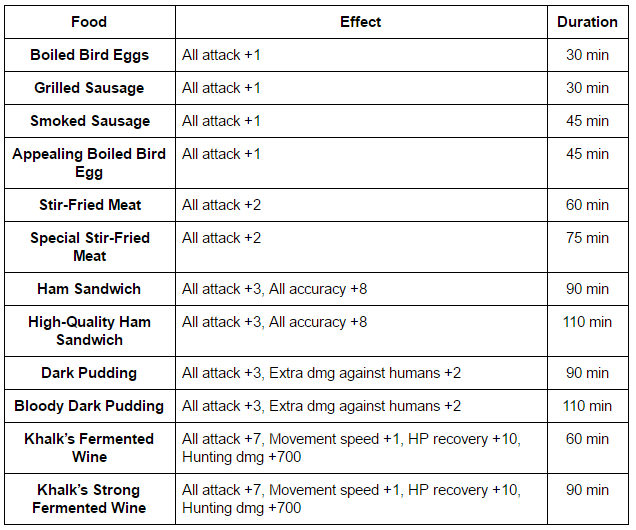 As you can see, the type of food differs depending on how and for what purpose the players would like to play their character. 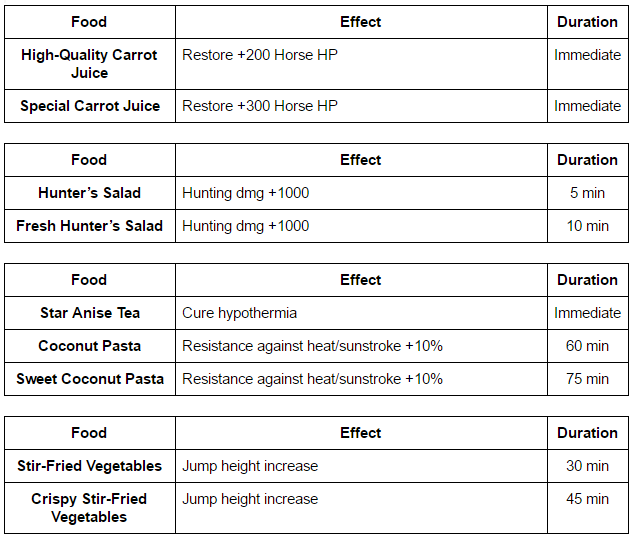 There is food that can fulfill almost any specific purpose the players have, so it would be good to know the provided effects of all the food in advance. 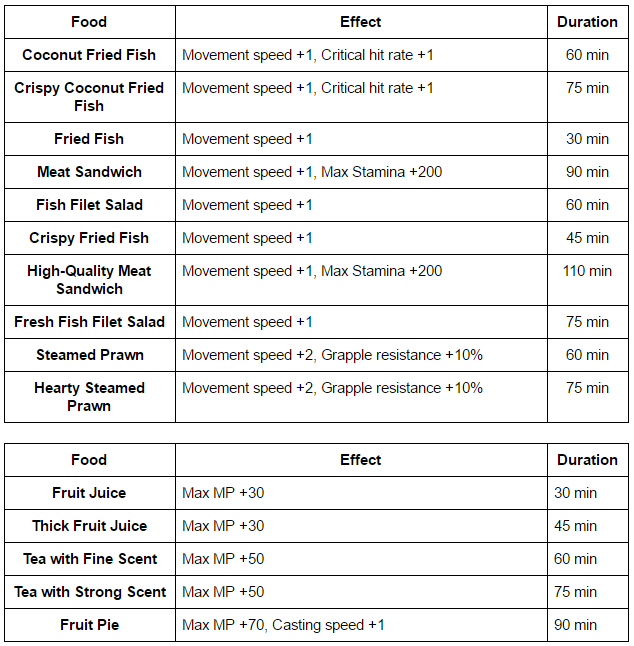 When using food to buff your character, it is crucial to take your gear and specs into consideration. 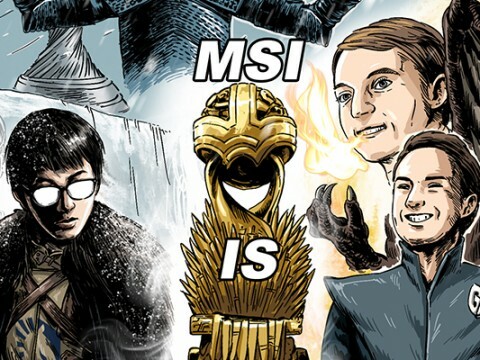 This particularly becomes more critical when it comes to PvP, because the difference of one level of potential can determine the victor. 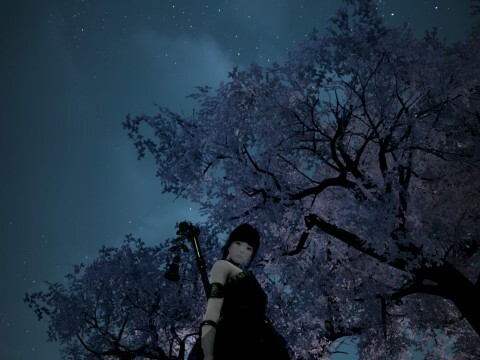 Players are required to display their full potential in cases of a node war, where the intense battle is done in a limited time. 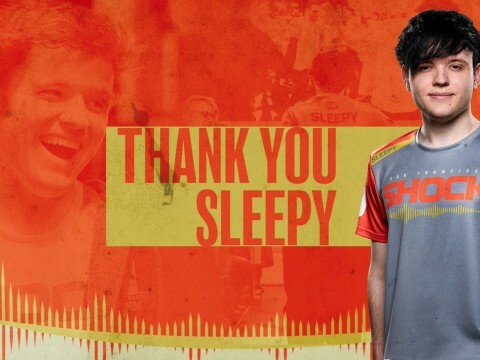 For these instances, players usually consume different types of meals in 30 minute intervals. 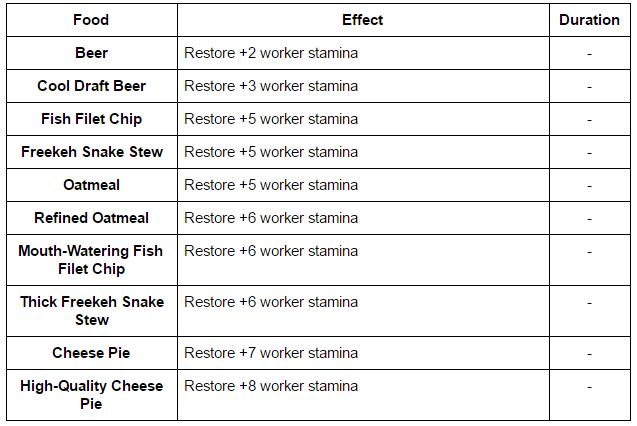 There is a list of the combinations of a few meals used in the community. Although there might be a combination of meals that would provide the fullest efficiency, it requires different types of food depending on equipment and specs, so there is no ultimate solution to what needs to be consumed. The combination of meals differs between 3 and 4 meals. Normal meals are consumed in the case of the combination of 3, but the special is also consumed for the combination of 4. 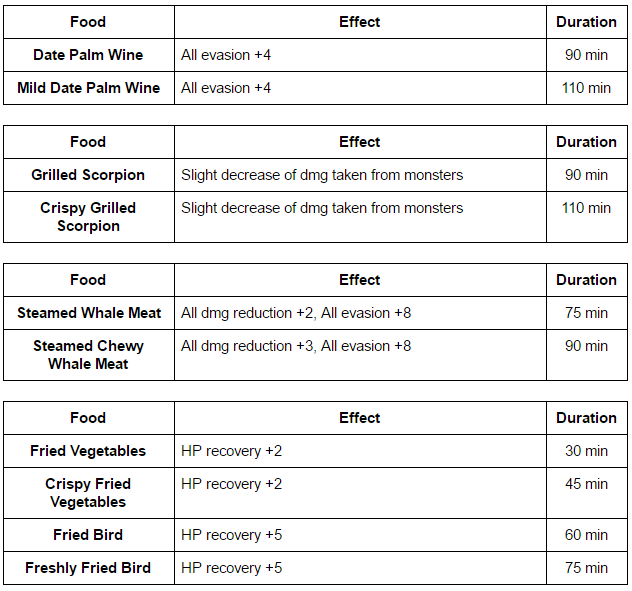 Players normally consume at least 3 meals when an intense battle is expected. One thing to note is that you are not supposed to buff up with foods that would overlap each other’s effects. In the case of consuming foods with the same effects, the higher version is applied and the preexisting one disappears. 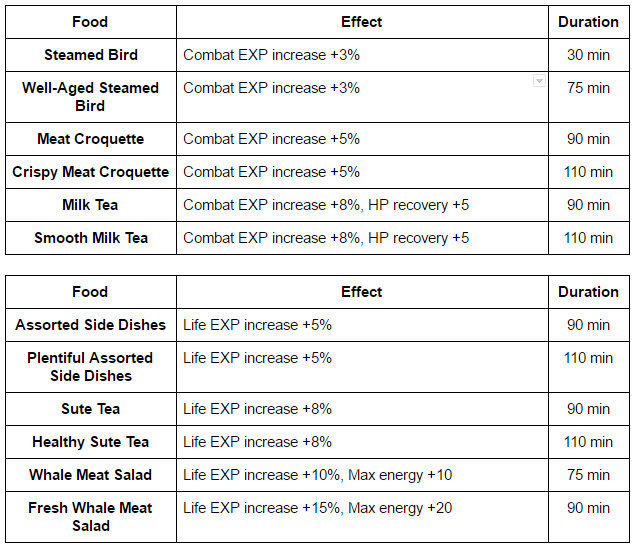 For example, Margoria Seafood Extravaganza increases HP and critical hit rate, and the same effects apply to Calpheon and Serendia Meals. 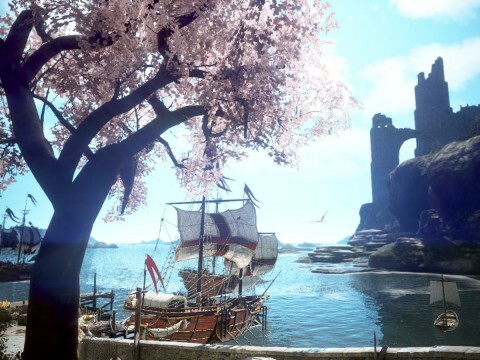 Therefore, the player would lose one effect if Serendia or Calpheon Meal is consumed after Margoria Seafood Extravaganza. 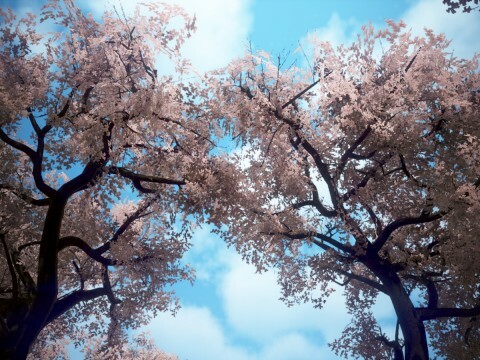 However, that does not mean that taking the risk of losing a couple of effects is useless. There is a combination of food that may have overlapping effects but is considered worth the risk due to the other beneficial effect. The combination of Valencian Meal and King of Jungle Hamburg is a typical example. 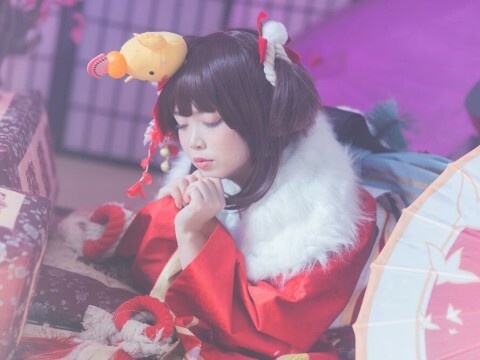 If you are preparing for a node war that starts at 8PM, you are supposed to be ready with the right food one hour before the war. 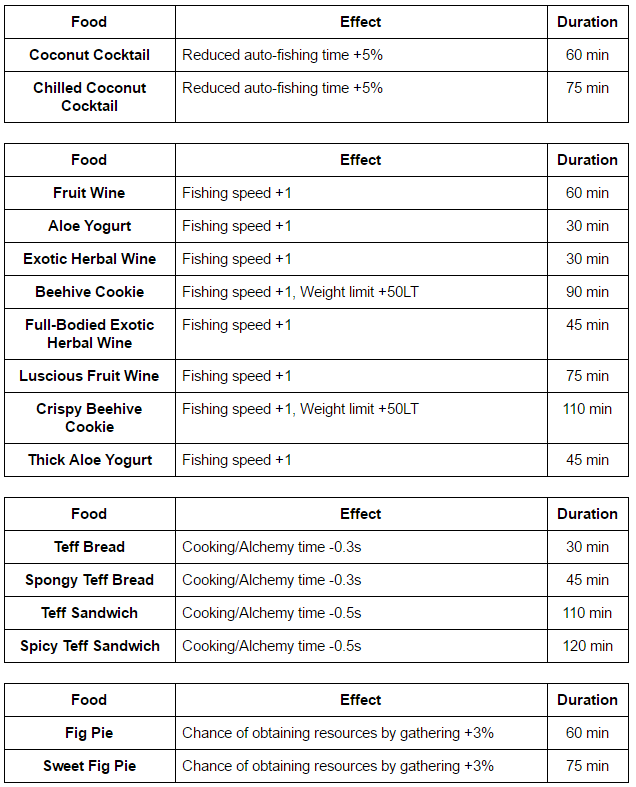 Some players call this a ‘diet’ in which you use two meals an hour before the war starts and consume the other one at 8PM, completing the combination of 3 foods buff. 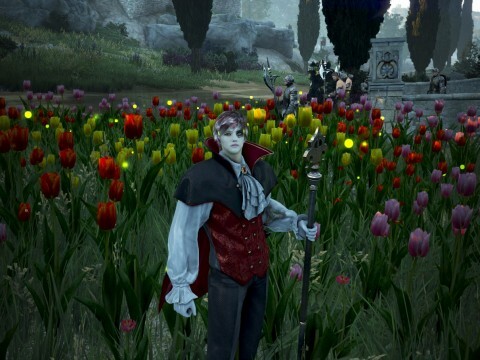 The combination of Serendia, Valencian Meals, and King of Jungle Hamburg is one of the popular ones among players. It balances attack and survival, and increases critical hit damage as well. 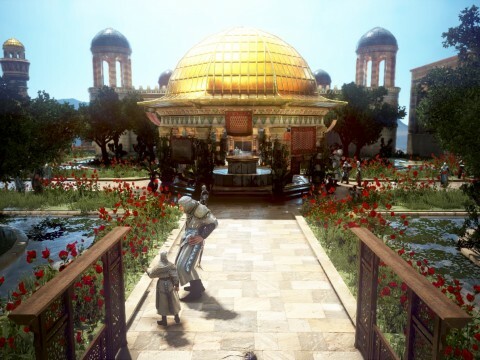 However, the combination also causes a loss of the ‘ignoring all resistance’ buff from the combination of Valencian Meal and King of Jungle Hamburg. 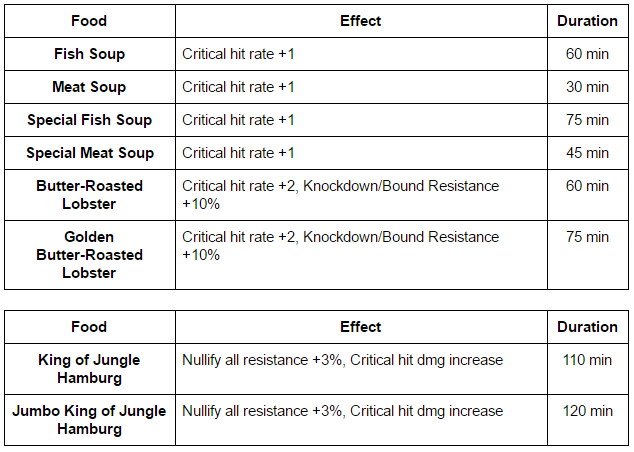 This opposes the rule of not consuming meals that possess the same effects, but the main effect of King of Jungle Hamburg is increasing the critical hit damage, so it doesn't really matter. If you are not so fond of risking the loss of effects, there are always other combinations that you can use. One of them is to consume a Calpheon Meal instead of King of Jungle Hamburg. 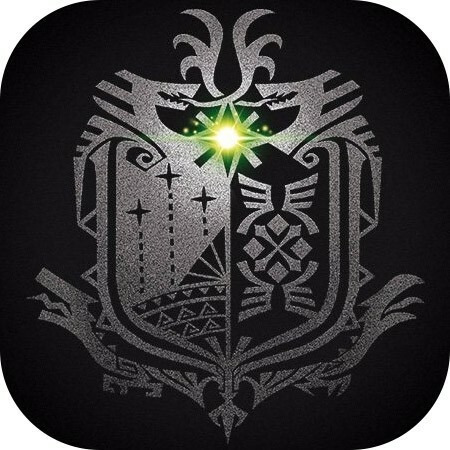 This increases the maximum HP, strengthening the potential of survival a little better. 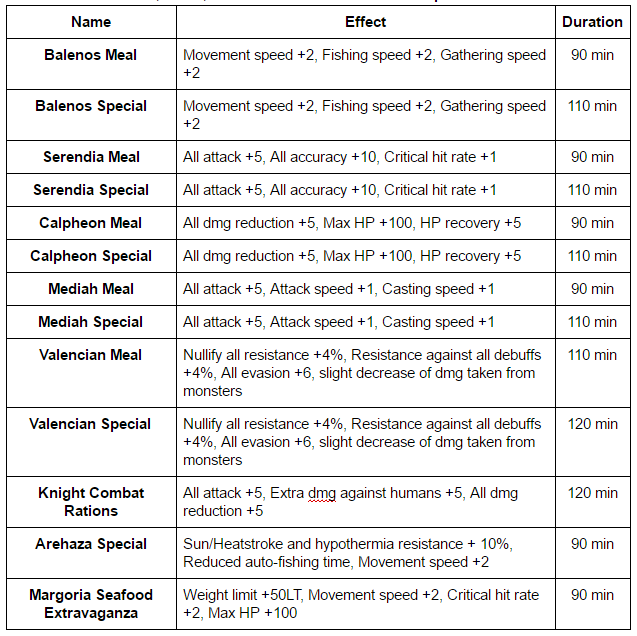 There is also the combination that utilizes better critical hit rate, and that is to use a Margoria Seafood Extravaganza instead of Serendia. 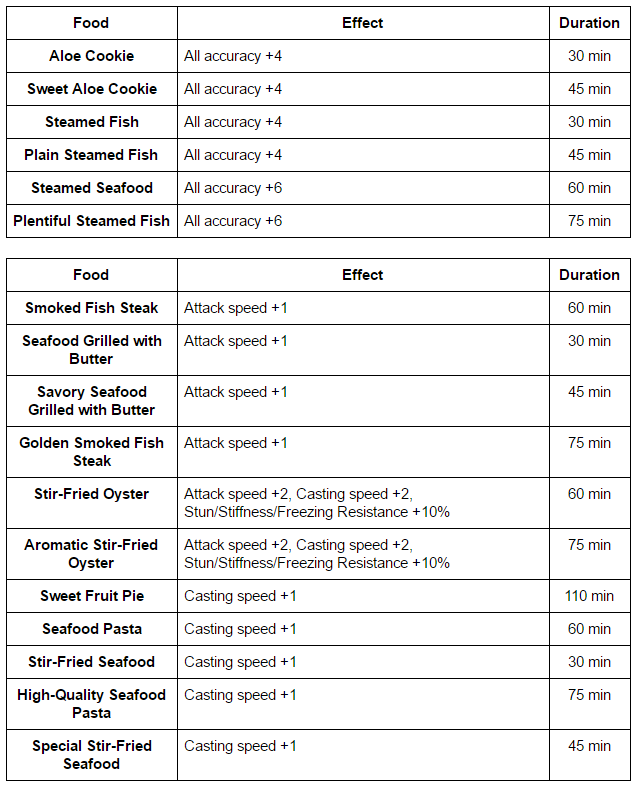 Margoria Seafood Extravaganza increases 2 ranks of critical hit rate and maximum HP and is considered a favorable choice among many players. They often combine it with a King of Jungle Hamburg in order to increase critical hit damage. 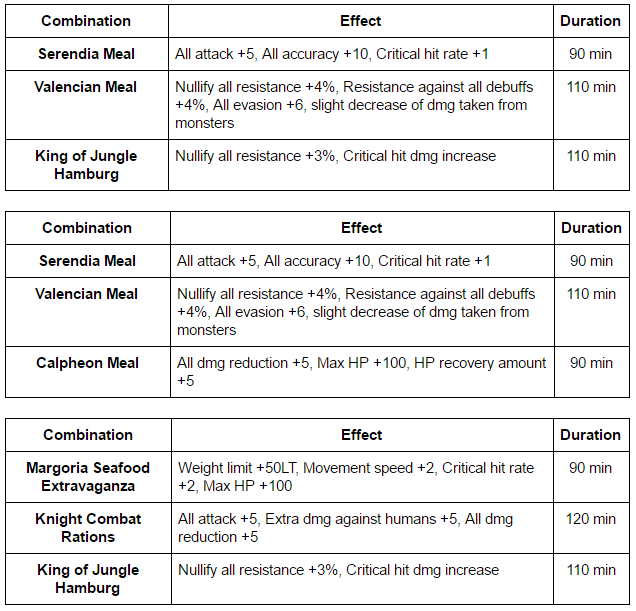 The lack of damage from the combination of Margoria Seafood Extravaganza and King of Jungle Hamburg is made up for by using a Knight Combat Rations instead of Serendia Meal. 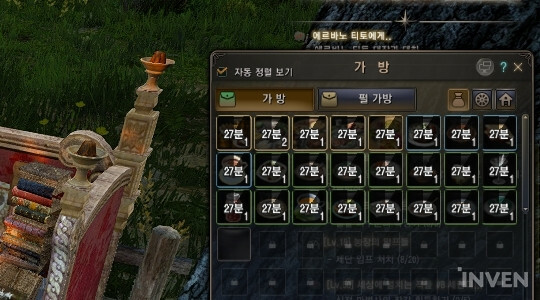 This is due to the overlapping critical hit rate buff of the Serendia and Margoria Meals. If you want to play safer, a Valencian Meal would be better than a King of Jungle Hamburg. 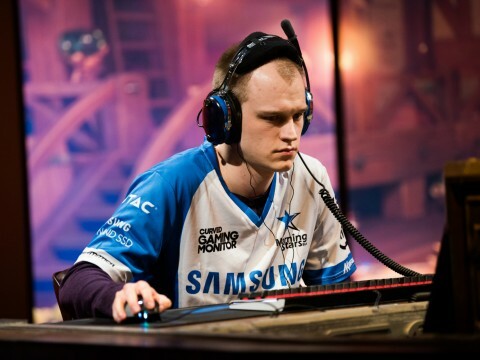 The popularity of certain meals among players does not mean that they are always right. 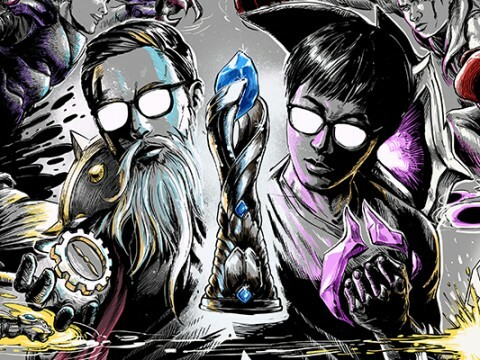 It would be much better and more fun to research what buffs need to be taken in order for strengths to stand out and for weaknesses to be mitigated.